This book review was published by Slashdot, 2008-11-26 . The second and third chapters lay the groundwork for what will follow. The former chapter explains how to specify and manipulate sets of elements on the Web page, known as "wrapped element sets". This is done using all of the selection methods supported by CSS 3, as well as some additional selection capabilities built into jQuery. The latter chapter explains how to manage the properties and attributes of page elements, and how to get and set attribute values and other attribute manipulation techniques. The authors show how jQuery gives programmers tremendous control over the HTML and CSS of their Web pages, which can be changed by creating and modifying elements, and wrapping them in new elements, as well as adding and removing class names within the HTML, thereby using the existing CSS code. On the other side of the same coin, styling can also be updated by getting and setting the styles themselves, thereby using the existing HTML code. The last section of the third chapter focuses on form elements, which have special properties within both HTML and jQuery. Event handling is a key aspect of any GUI, and is the subject of Chapter 4, in which the authors describe the DOM event models — focusing on Levels 0 and 2 — and how the jQuery event model helps to neutralize the problems introduced by Internet Explorer (naturally) failing to follow industry standards in its implementation of the DOM Level 2 Event Model. The chapter concludes with an extended examination of some sample code — in this case an order page from the online menu of an imaginary Asian fusion restaurant. The book shifts gears in its fifth chapter, which explains how to use animation and other effects to jazz up the Web page — such as fading images in and out, as well as smoothly resizing and moving elements on the page. 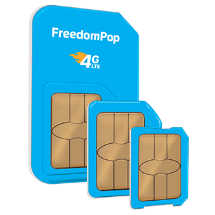 For instance, the first application of these capabilities is in the form of a collapsible list, which is ideal for making lengthy vertical navigation menus far less space consuming. Chapter 6 arms the reader with an understanding of jQuery's many utility functions, which can be used to trim unneeded spaces from strings, iterate through collections and properties, filter and translate arrays, extend objects, load scripts dynamically, and determine the site visitor's user agent and box model. These functions add the capabilities to one's jQuery code; yet one can even extend jQuery itself, by using plugins created by other developers or by oneself. In Chapter 7, the authors explain how anyone can write custom utility functions, which they illustrate with a date formatting function. They also explain how-to create custom wrapper methods. Anyone interested in learning more about the book can consult the publisher's page, which offers a book description, excerpts from reviews, and links to pages containing the supplemental sections of the book, such as the table of contents. It also has the book's errata, of which there are listed (as of this writing) five in the second printing, and three from the previous printing. Two sample chapters (2 and 5) are offered, as well as all of the sample source code. The PDF version of the book can be purchased online, at a discount to the printed version; the two can also be purchased as a bundle. Lastly, there is an authors' forum, where readers are invited to post questions, almost all of which have been kindly answered why the authors. 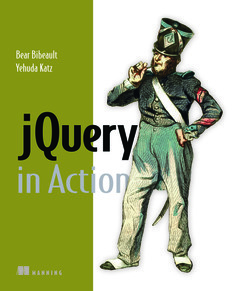 This book should prove a favorite among jQuery developers. The authors zero in on the core components of the library, and explain everything clearly — providing thorough coverage, without excessive verbiage. They are forthright about the weaknesses of jQuery, just as much as its strengths. The book does not contain a large number of screenshots or other figures, but it does use those in conjunction with code snippets, tables, and command syntax summaries to help break up the text visually. The authors improve the readability of the material with a genuine sense of humor, yet without resorting to the silliness currently found in many books written by programmers.